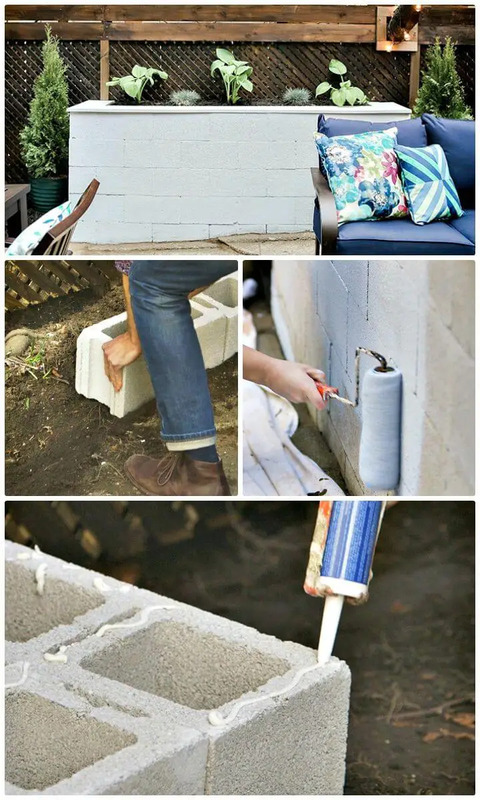 Cinder blocks are outstanding rectangular and square concrete blocks that are mostly put together for making durable concrete building walls but they can be much more than just being a building construction material! 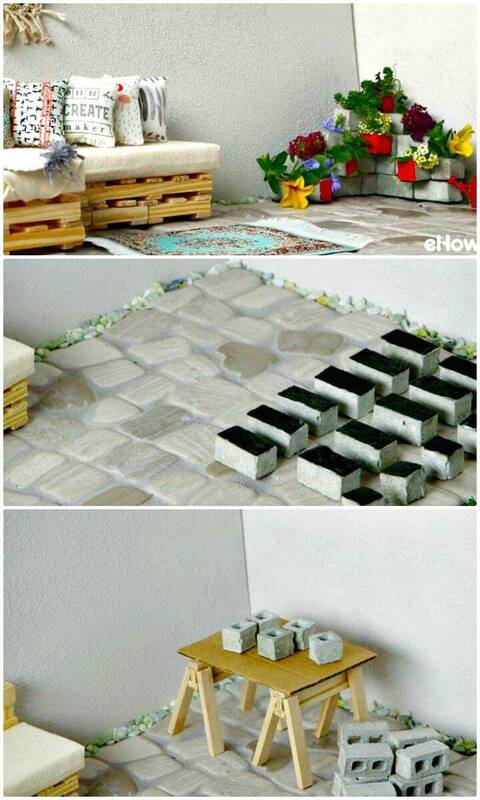 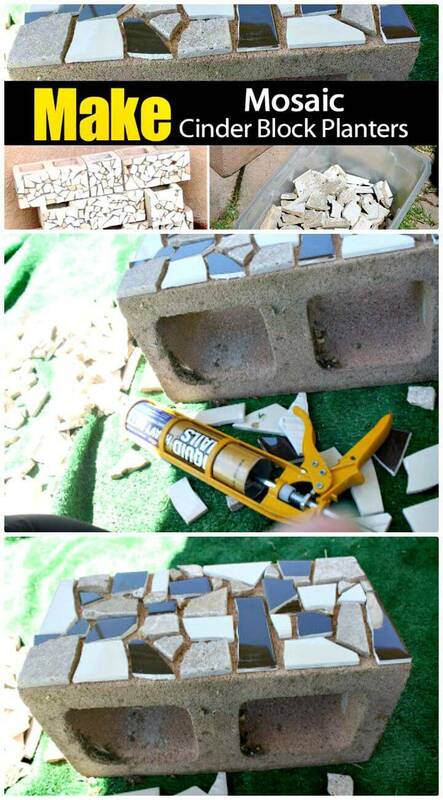 You can do some amazing DIY projects too with your concrete blocks that will rock your entire dwelling! 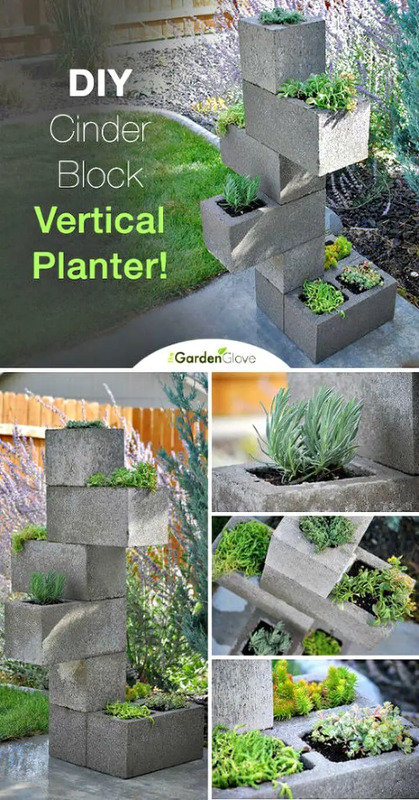 However, if you are concerned with sprucing up your outdoor by installing some hilarious and outstanding focal points in your green space or outdoor then going with concrete planters would be a great and budget-friendly option! 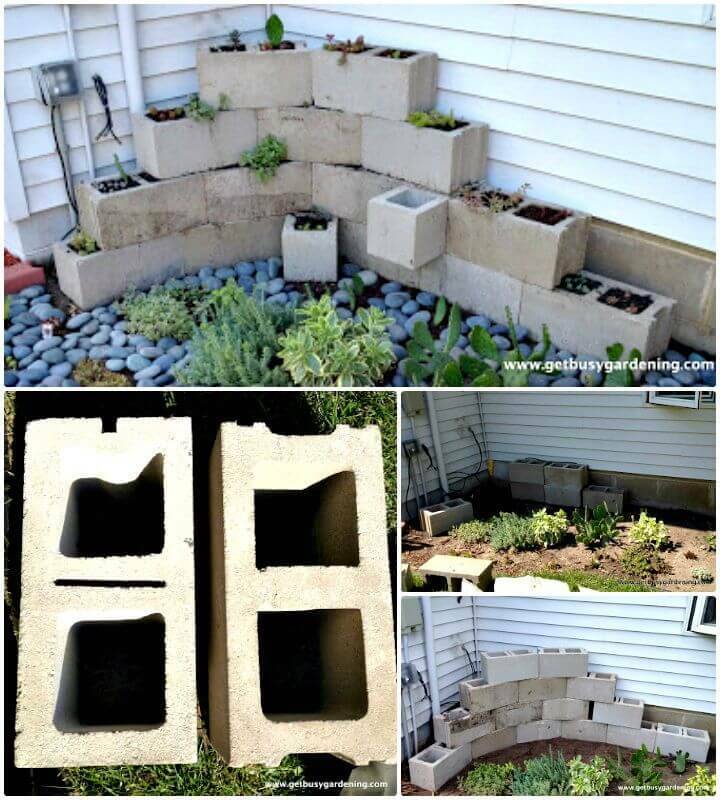 So, you can just install the concrete blocks in different configurations and arrangements to build fantastic looking planters and planter walls which will definitely go eye-catching! 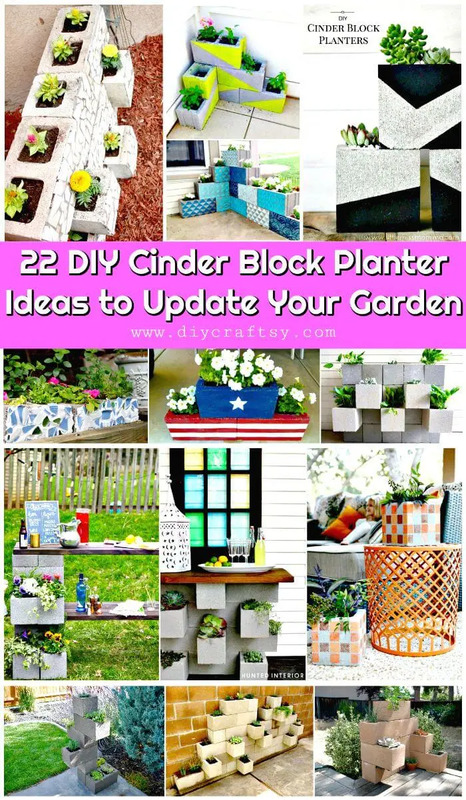 Hack some great cinder block garden projects from this big list of 22 DIY cinder block planter ideas which are truly amazing and will help to make your outdoors look modern inexpensively! 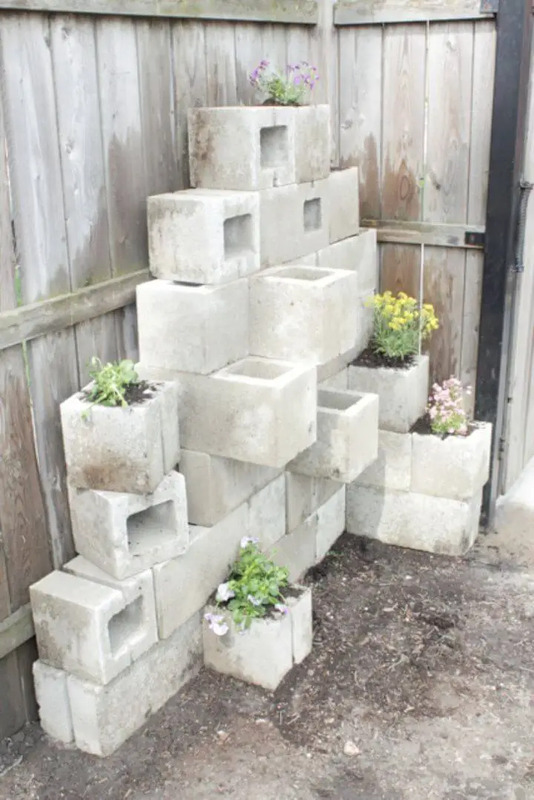 Moreover, these concrete block planters would also be lasting longer due to being made of concrete and will be super quick and easy to build also! 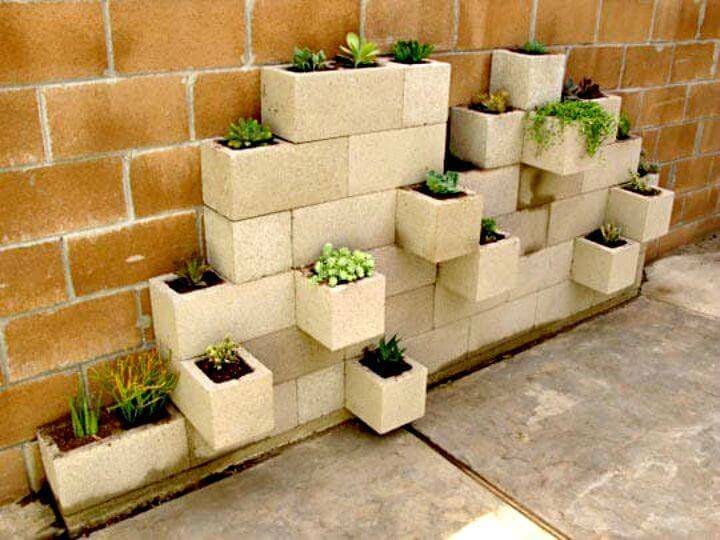 While installing the concrete block planters, you need to keep some certain points in mind! 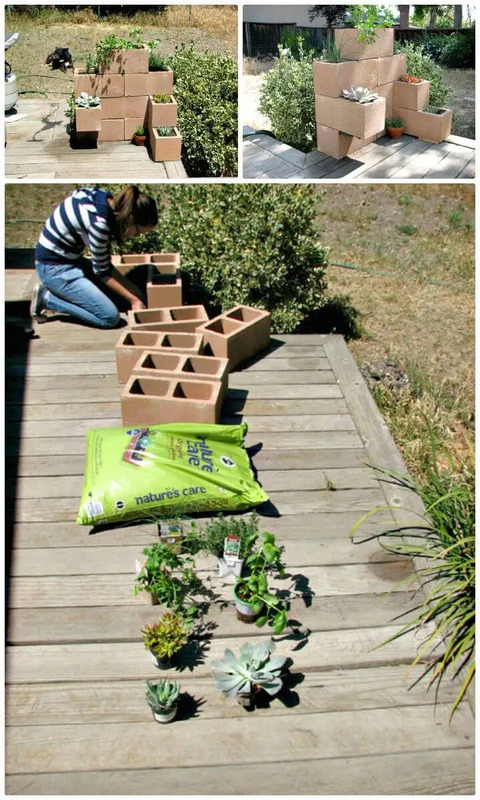 Just make sure that concrete block planters are having a better drainage system and those which are ending outward, come with covered bottoms to hold the potting soil well inside! 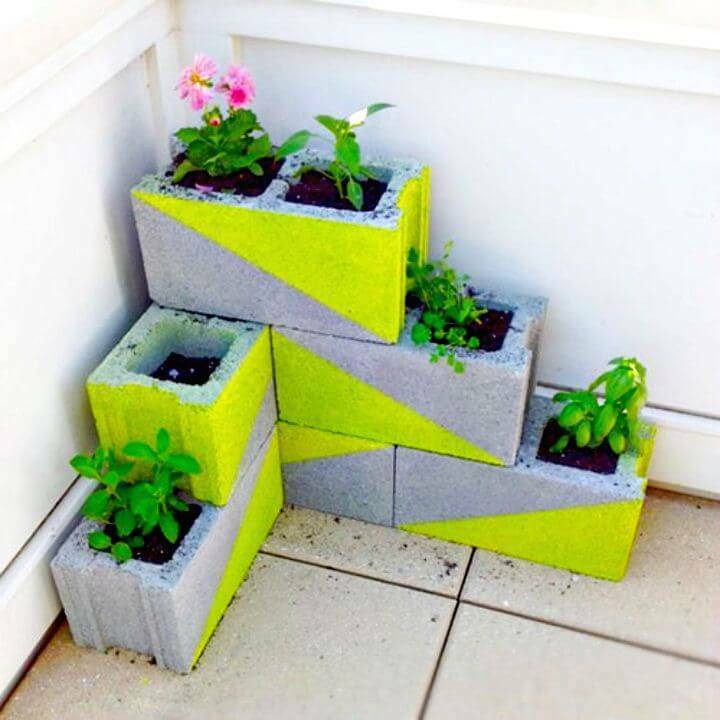 Moreover, while stacking the cinder blocks for amazing raised planter you can use a concrete adhesive to just hold them in place beautifully! 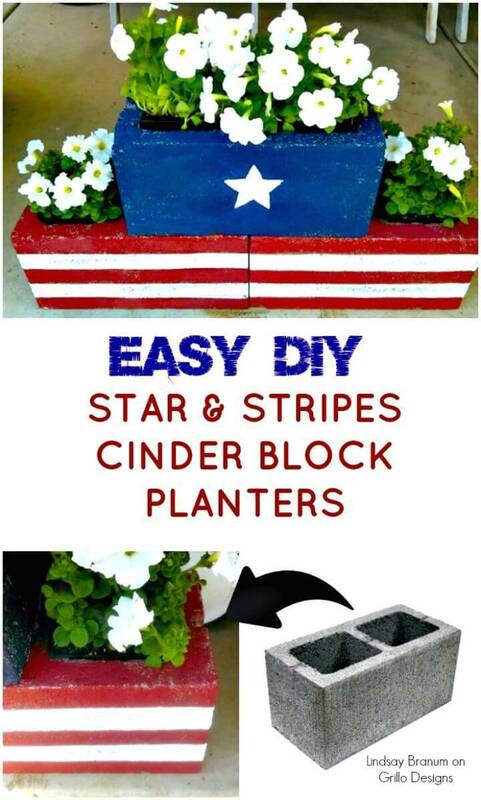 Moreover, you can give amazing different variations to your cinder block planters! 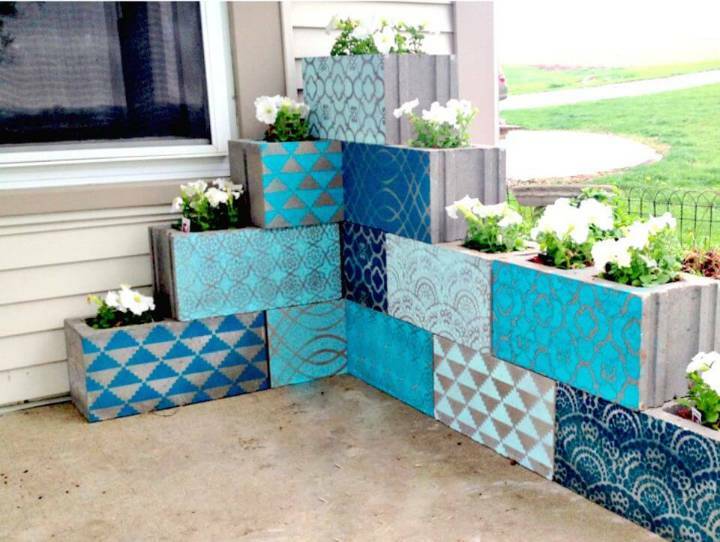 The very first thing you can, in this case, is that you can easily change the arrangements of stacked cinder blocks for a different looking planter or planter wall! 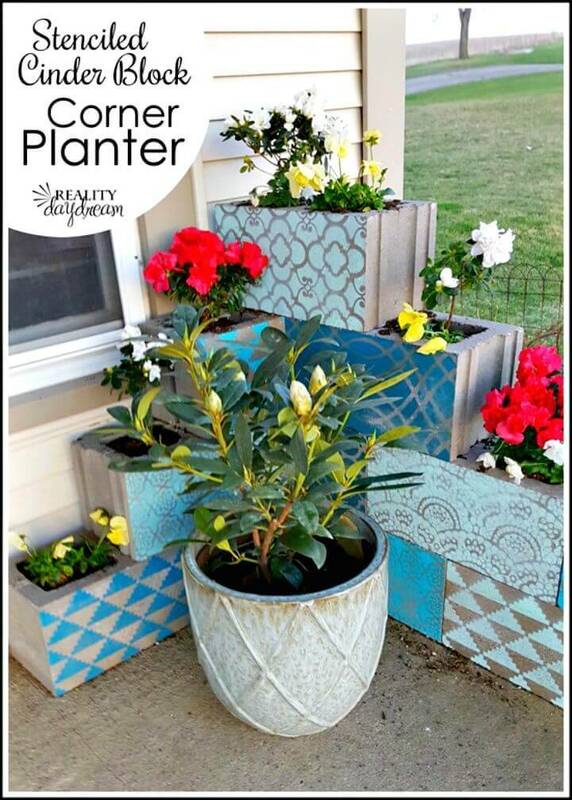 Next, you can go with custom stencils, paint colors and with vinyl letters also to personalize your cinder block planters and also to create stunning colorful hues of them! 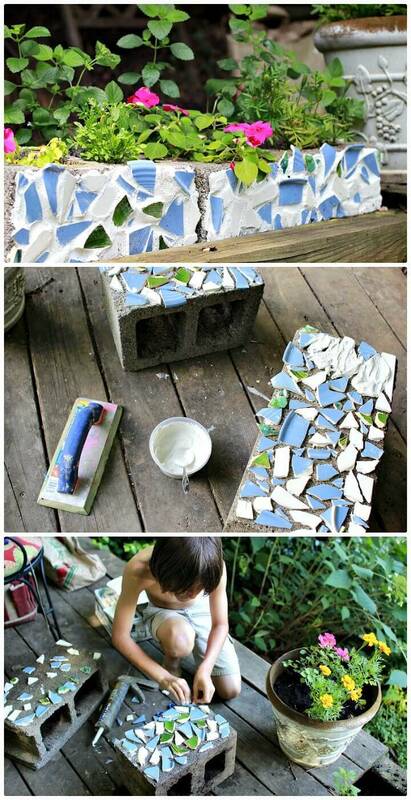 Check out here some brilliant sample given in the list that is truly fantastic! 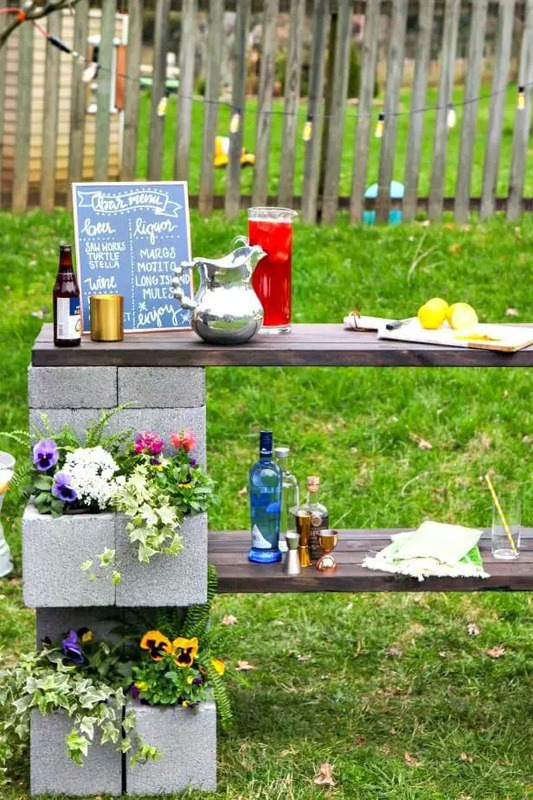 Next, you can also build outstanding furniture out of stacked cinder block walls, for example just put a big wood shelf over the two concrete block piles and build a graceful bench and hence you can also install bars and tables using the same concrete block planters! 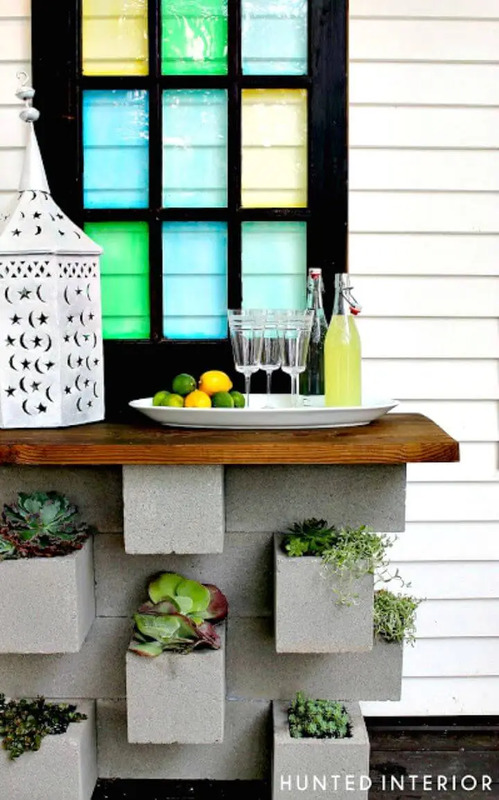 Check out some concrete planter bench and bar samples given below that are truly magnificent and eye-catching! 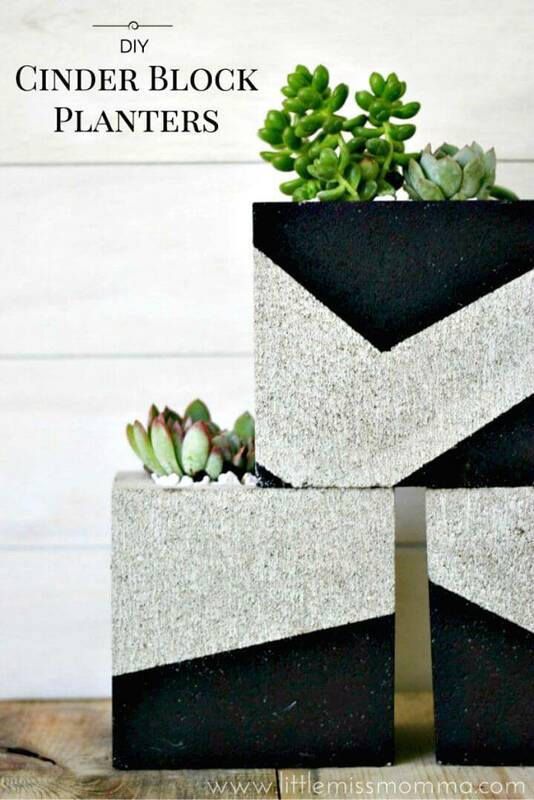 Check out the entire list of these DIY concrete block planters and see what goes interesting to your eyes! 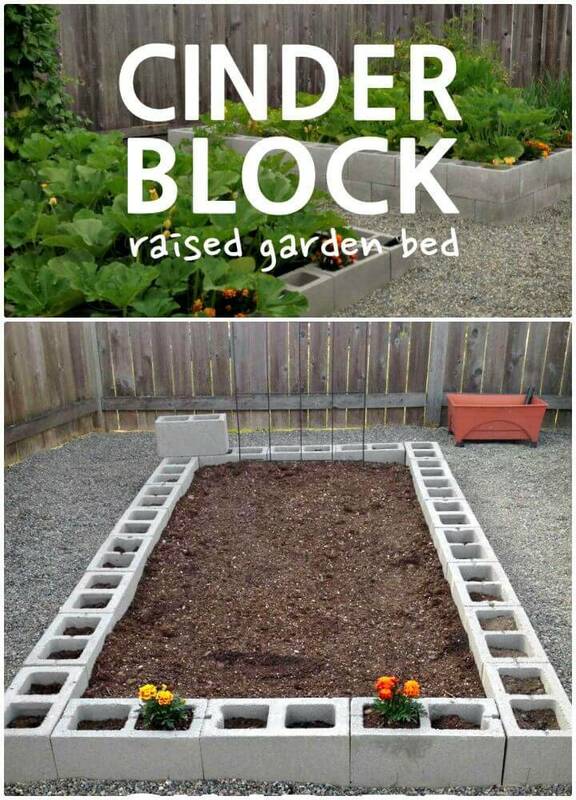 Build also raised flower or vegetable beds with cinder blocks and also use the single cinder block planters as coffee or dining table centerpieces! 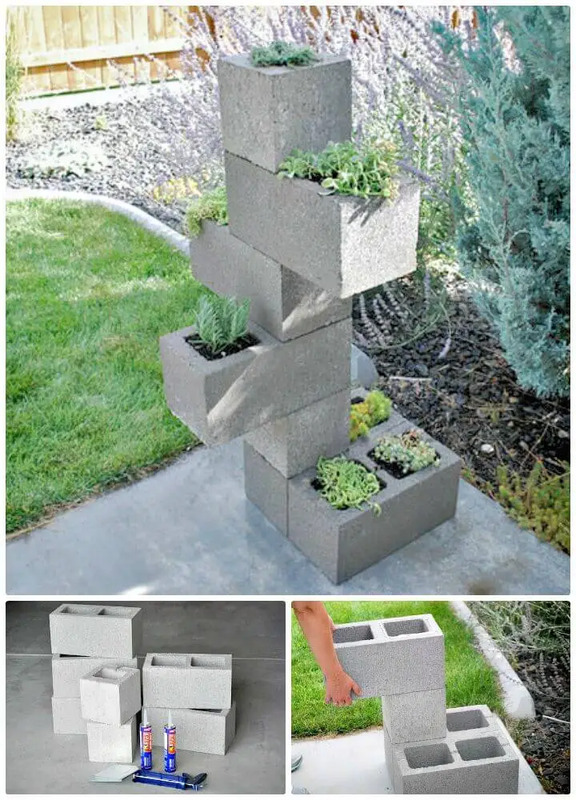 Stack also the cinder blocks for outstanding looking vertical planters and stack the concrete blocks for visually captivating succulent or flower garden on your patio or porch! 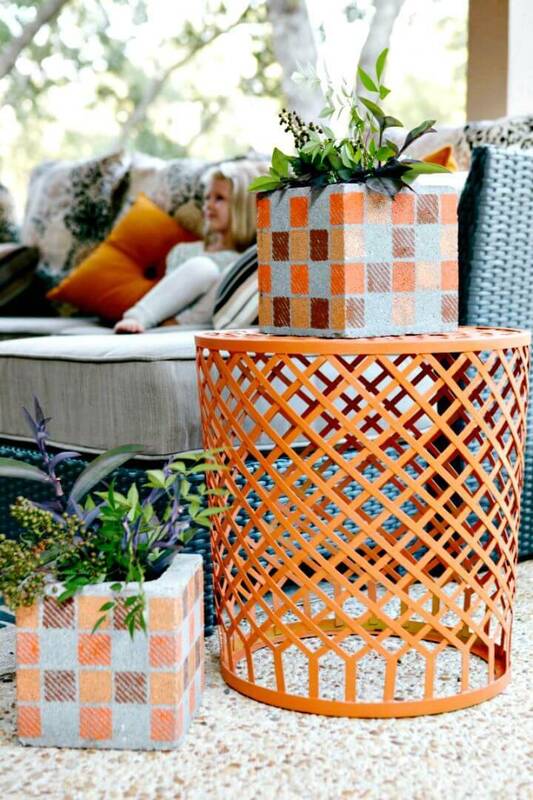 Get inspired by some lovely given samples! 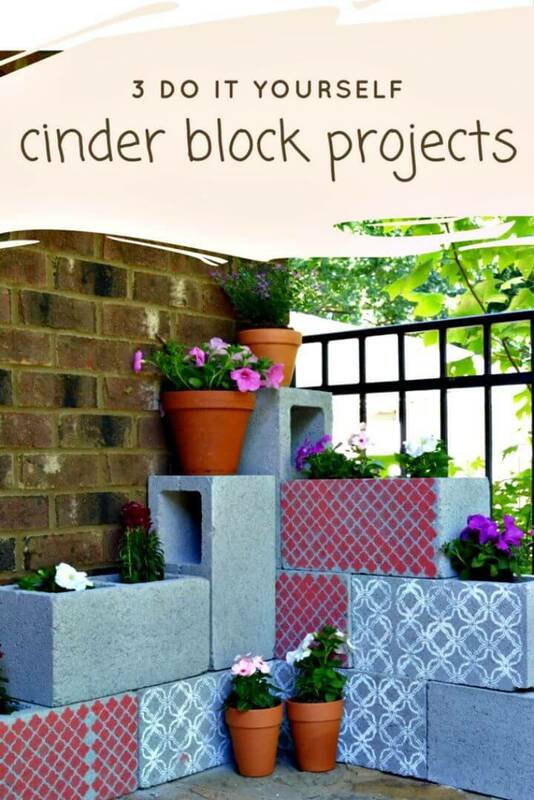 Each cinder block planter project comes with a source link attached to the bottom side which can just be clicked once to open the hidden project instructions, step-by-step tutorial and easy to follow visual guides for that respective project! 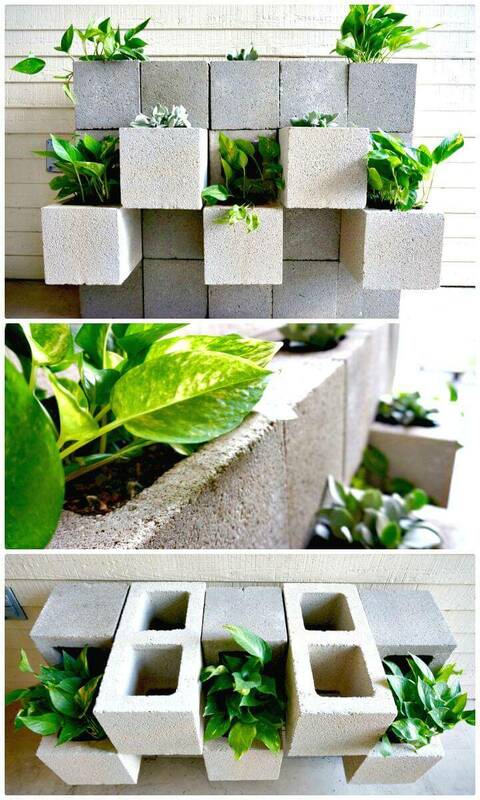 So, do visit the source links for your favorite cinder block planters from the list that you will just love to copy!